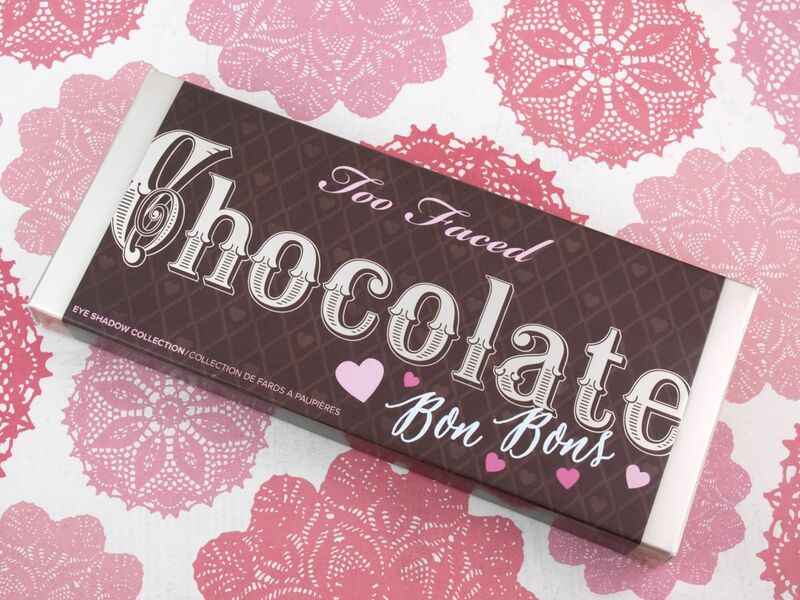 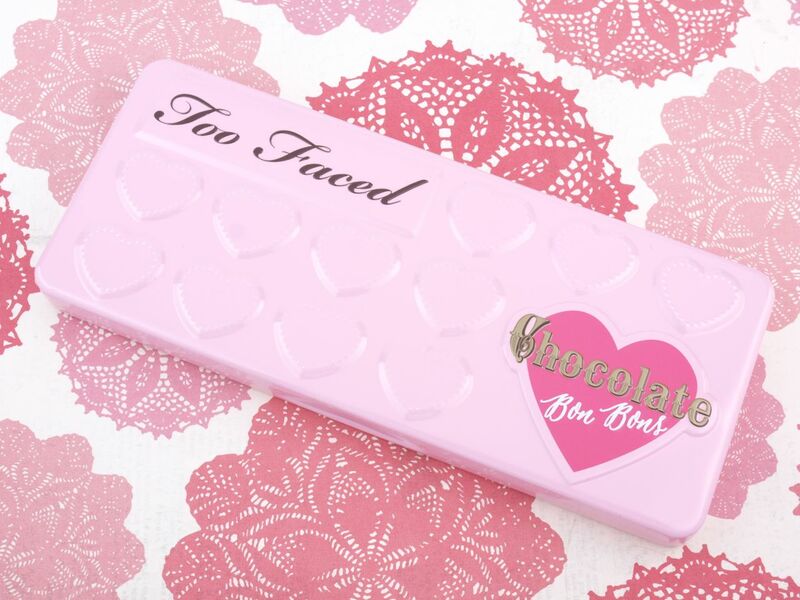 The Chocolate Bon Bons comes in an adorable pink metal tin. 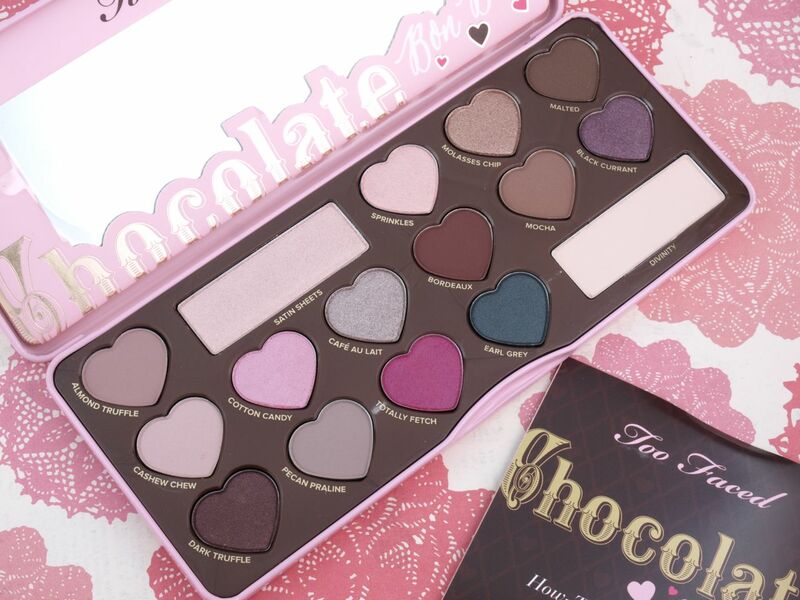 The shadows inside are packed within heart shaped pans (1g each), with the exception of a couple of basic nudes, which come in large rectangular pans (2.2g each). 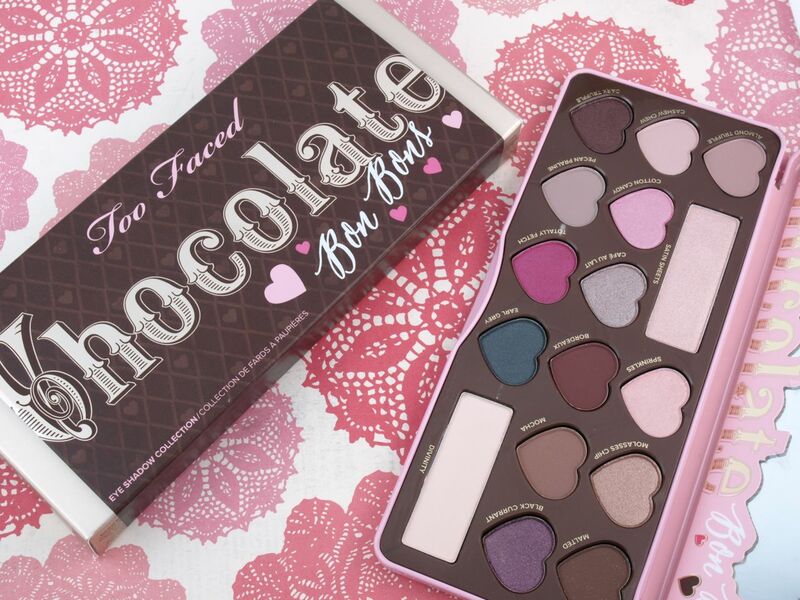 The packaging is super sleek and stylish, it really makes me wish I had the other Chocolate palettes to complete my collection! 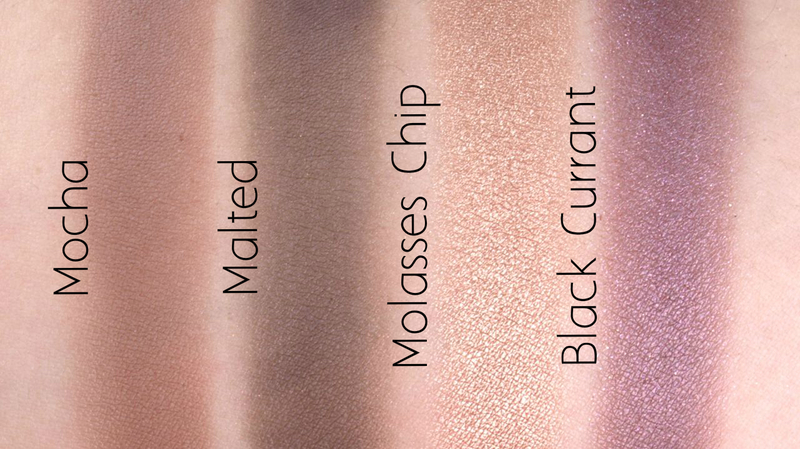 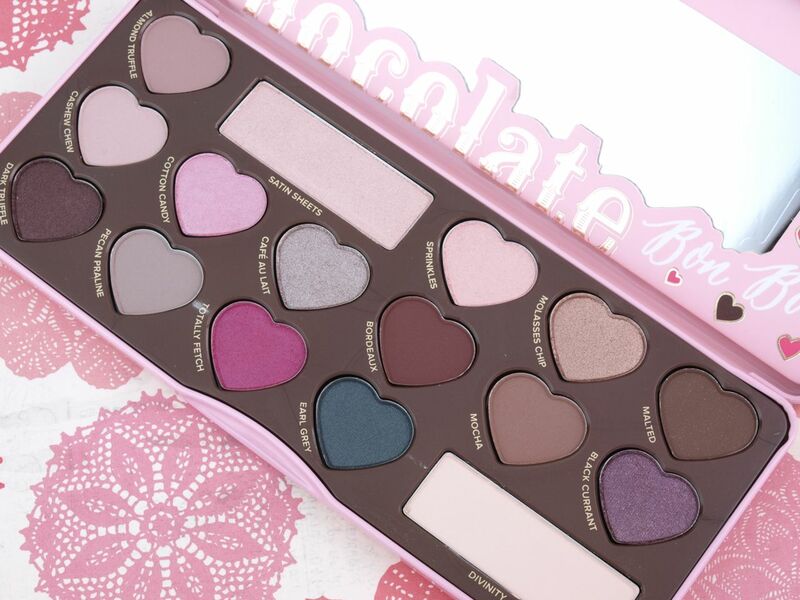 This palette features a good range of nudes, browns, and pinks. 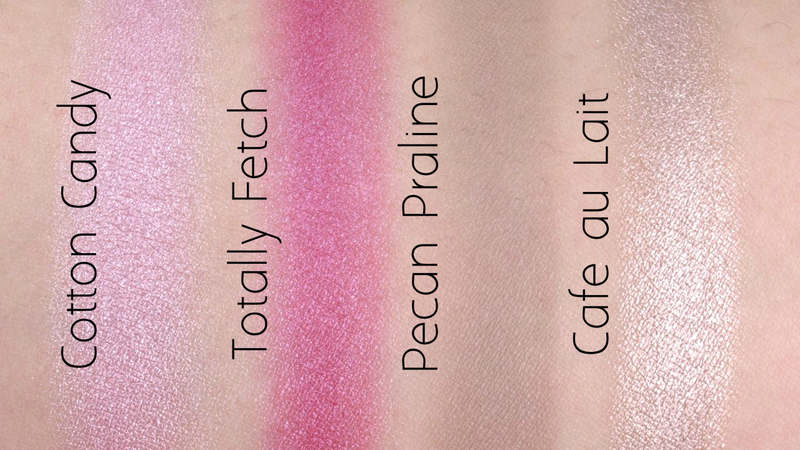 With the exception of a few slightly chalky and dry mattes. 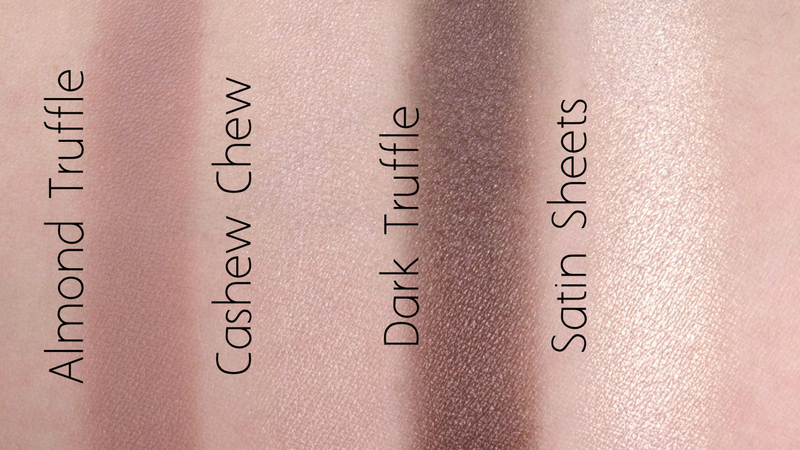 The majority of the shades are super pigmented, buttery, and chocolate-scented. 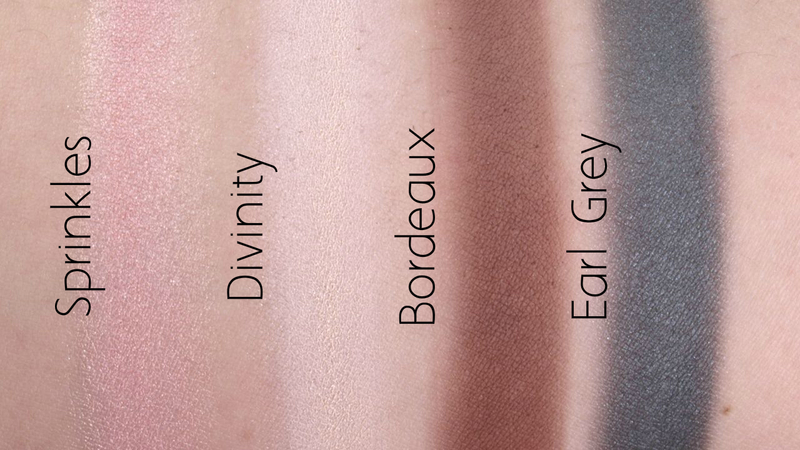 I believe two out of the sixteen shades are pre-existing shades and the other fourteen are brand new.